Pilates vs Yoga: Which is Best for Your Running? I have a not so secret (because I’m certain I’ve mentioned it already) to share with you today: I have not done yoga in months. Minus a few yoga stretches here and there, I think the last time I actually did a yoga video was…sometime in the fall of 2015? Miraculously, the lack of yoga in my life has not resulted in injury or overwhelming training fatigue. In fact, I feel as if I recover more quickly and am stronger in my running than ever. Why? One word: Pilates. Regular readers know that I love Pilates and believe it offers significant benefits for runners. One of my goals for 2016 is to practice Pilates more, and for most of this year I’ve done at least two Pilates workouts per week. I even taught Pilates back during my college years. Of course, just as there is no cookie cutter training plan in terms of running, nor does every runner respond equally to supplemental training. So let’s look at the differences between Pilates vs yoga, their unique benefits for running, and how to choose which one is best for your running and goals. Pilates vs Yoga: Which is Best for Runners? One benefit of yoga over Pilates is the wide variety of styles offered. You can practice yin yoga or restorative yoga on a rest day, use power yoga or vinyasa for strength training, or hatha for flexibility and mobility work. Pilates does offer various levels of experience, but usually a Pilates workout will be physically demanding. Whether you’re on the reformer or a mat, you are constantly engaging your muscles and working your core hard. You can make your Pilates workout easier by modifying the movements or shortening the duration, but there is no such thing as recovery Pilates (that I know of). The primary focus of Pilates is to build strength, particularly core and spinal strength. Pilates was, after all, developed as a rehabilitation exercise for WWI soldiers. Many of Pilates workouts incorporate upper body work, especially the back, and hamstring and glute work (which helps runners who are quad-dominant). The movements founds in most Pilates routines emphasize muscular endurance, which is desirable for endurance athletes. Rarely do I finish a Pilates workout without feeling as if I worked every muscle in my body, but the workouts never render me as fatigued as heavy weight lifting – which is ideal for balancing running and a strength routine. Yes, yoga can build strength, particularly in the core, but strength is not the primary focus of yoga. More often than not, yoga is more about stretching and mindfulness than increasing muscular endurance and strength. When deciding which one is best for your running, consider your flexibility levels. Pilates requires less bending, twisting, and contorting than yoga. Less flexible runners may find Pilates more approachable than yoga, and feeling apt and comfortable doing an exercise (not to mention enjoying it) is essential for making it part of your regular training routine. That said, gentle stretching within your range of motion will prevent injury, undo the negative effects of sitting, and mobilize your hips. Thus many runners turn to yoga for stretching after a run, and it’s hard to deny how good a downward dog feels on tight calves. 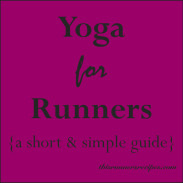 Many runners cite yoga as the best tool in their training arsenal for preventing injury. Yoga can remedy muscular imbalances, prevent overuse injuries, correct poor running form, and rebuild connective tissue. Beyond injury prevention, Pilates provides an optimal rehabilitation program for injured runners. Unlike yoga which incorporates many standing poses, Pilates is performed in a prone or supine position lying on the mat. This means runners in any sort of boot or other physical limiter can still perform many Pilates exercises. Especially for runners whose injuries stemmed from weak hips, Pilates is fantastic for building foundational strength to return you to running without overtaxing your body. Both Pilates and yoga foster a mind/body connection, but in different ways. Only yoga incorporates meditation and a spiritual aspect. The structure and precision of Pilates leaves no room for meditation, unless you’re meditating just how freaking much teasers hurt. What Pilates lacks in spirituality it makes up for in mental strength. Pilates emphasizes precision and control, which are powerful tools for building your mental strength in running. Think of a half marathon or marathon: control is essential in those first few miles to prevent yourself from going out too fast and later hitting a wall. Both Pilates and yoga require concentration and attention to breathing, which will significantly benefit runners. Being able to concentrate during a race improves your performance and experience. Breathing, as we all know, is essential for running, as your ability to uptake oxygen directly affects your speed. Being able to control and monitor your breathing endows you with better control over your pace as well, especially in races or harder workouts. Specificity is the guiding principle when developing a training program: how will each workout help me achieve my specific goal? When adding supplemental workouts to your running, you must ask the question of how they will improve your running for your specific goals. Pilates builds foundational strength from your core (which includes abs, obliques lower back, hips, and glutes). In Pilates, your core is referred to as your powerhouse because it is where every movement comes from. Even when you’re performing leg lifts or push ups, your core provides the strength and power for that move. Running also relies power and strength in the powerhouse. Your glutes, even more so than your quads or calves, are responsible for your stride and speed. 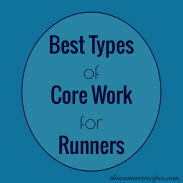 Your core helps you maintain proper upright running form. Pilates teaches you to better generate power and strength from your core and glutes, which directly transfers over into your power, strength, and economy as a runner. Running requires single leg strength and balance. When you think about it, running is simply a series of single legged hops. Vinyasa and ashtanga yoga improve your balance and incorporate many single leg poses such as tree, eagle, and warrior III. 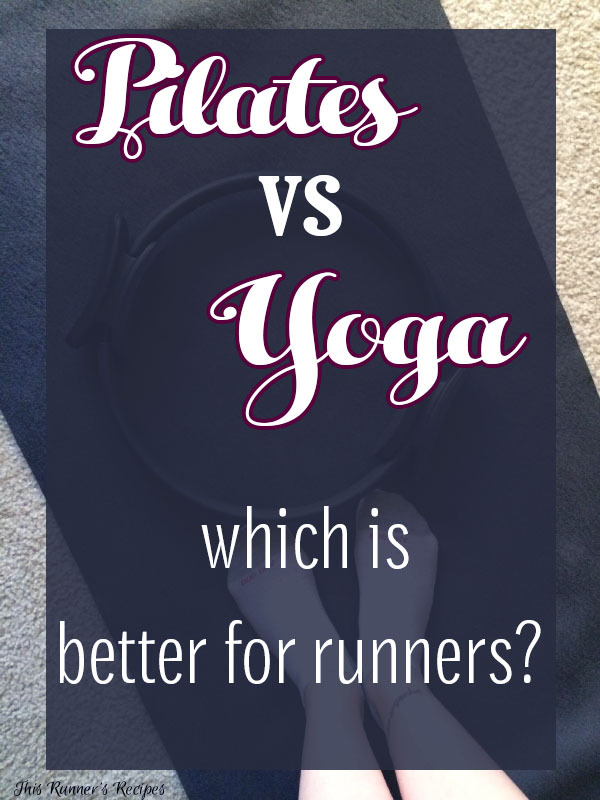 This will sound obvious, but the best way to determine whether Pilates or yoga is best for your running is to try them both. See how your body responds and what effects it has on your running. Most of all, note which one you enjoy the most. When choosing yoga or Pilates, you should carefully consider your goals. Do you want to increase your muscular endurance, prevent injury, and improve your running form? Opt for Pilates. Do you want to stretch, prevent injury, and mentally relax during a hard training cycle? Then head to a yoga class. Money and time do not have to be deciding factors: there are several fantastic options for practicing Pilates and yoga on a budget and from the comfort of your own home. Mat Pilates is the purest form of Pilates, so you don’t need to join a studio and use the reformer to reap the benefits from it. If you’re new to either yoga or Pilates, you will benefit from attending a studio class and receiving instruction on form. And you don’t have to even pick: there’s no one out there saying you can’t practice both yoga and Pilates. Linking up with Coaches’ Corner! Which do you choose: Pilates or yoga? What’s the strangest fitness class you’ve ever tried? Such an interesting and informative post! I personally just enjoy yoga fusion workouts more, but I do like to do Pilates every now and again. Keeps my body guessing! Thank you! It’s good to mix it up between the two – engages so many different muscles when you switch between workouts to strengthen all parts of the body! I choose yoga! But Pilates interests me. If my yoga studio offered it, I’d go. I’ve done it at home a few times but I haven’t found anything that really excites me. Any recommendations for home use? and you know, I choose pure barre because it incorporates both! 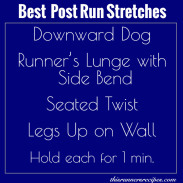 I do like the short yoga for runners videos because they stretch me nicely when I need it but I prefer pure barre overall because it covers everything for me -strength, balance, stretching, core etc. Some of the Pilates workouts I’ve done with the toning ring lately remind me a lot of barre, actually! There was one with leg and arm pulses using the toning ring and I kept swearing at how much it burned – which made me think of how strong pure barre must make you! I do more yoga than pilates, but I think its just because pilates is so challenging for me. I think both have so many great benefits! The biggest barrier for me lately is time- I want to fit in everything but each week I need to pick a few supplemental workouts to go along with my running. It’s hard to fit in supplemental workout with running, especially when mileage or intensity (or goodness, both) increase and it’s not just an issue of time but also energy. I think that’s why I’ve learned more towards Pilates lately – that way if I only lift once a week there’s still a good amount of strength training in my week. Excellent breakdown. I think that they both have their place, and I like them both. Sort of like which cross training is best for you–it boils down to needs and preference! Thank you for linking up! I take a class at my gym that’s called PiYo- Pilates/Yoga! It’s the best of both worlds because it starts with slow yoga flows and stretches, then goes into the strength and core work of pilates and ends with meditation. So good! That does sound like a fun workout! When I taught it I sometimes sneaked in yoga stretches at the beginning and end – my students loved it! I’ve actually never done either! I’m not able to take any classes, so are there any Pilates clips on YouTube that you’d recommend? I’ll give it a try! I would like to talk more Pilates on our run tomorrow. Incorporating some yoga into my training has typically been my “thing” mainly because it was….”easy” (easier) than Pilates only because I have not ever done Pilates. I can feel the benefits that yoga has given my body, but I would love to try out something new. Especially since I have not done any yoga in about 2 months….hmmm….. I do Pilates a lot more than yoga. If I”m pressed for time, yoga is the first to go on my schedule, but I’m always doing Pilates moves to help my strength. Yes! Pilates helps strength so much! Weight lifting goes for me before Pilates – there are just so many benefits to Pilates! I’ve never done Pilates but I know a few people who love it. I should really look into it because I love how stretchy I feel after yoga but I tend to get bored. Thanks for linking up! Thank you for hosting! You should definitely give it a try – I find Pilates so much more mentally engaging than yoga, since it has a faster pace and no meditative time. And you still do get a good stretch – Pilates always makes me feel taller afterwards. I’ve tried yoga before, and I’ve found it depends on the instructor. And I think I’d feel the same about pilates–I need a teacher who will be really involved, not go too fast, be patient and show me how to do moves, etc. I like to incorporate certain yoga stretches into my daily routine, just because they feel good. What I’d really like to try is a Barre class! I tried pilates last year, but I felt that doing those workouts and running was just too much for my glutes to handle 🙁 But I did notice that the exercises my PT is giving me for recovery are really similar to some beginner pilates moves, so I can tell that they would definitely help strengthen a runner’s core! I just really love that yoga gives me a place to relax and meditate. My body and mind really appreciate that! I’ve tried Pilates a couple times and didn’t really enjoy it because I find high-rep exercises boring – but then I don’t know enough about Pilates to know whether it’s just a certain style I didn’t like. I do mostly yin/restorative and hatha styles of yoga, so I definitely consider it a recovery activity rather than a workout. Yoga before bed also helps me get to sleep if I’m stressed, which is sometimes the most important benefit! Some Pilates style workouts are high rep, but traditional Pilates really only does 3-8 reps of a move before progressing to a next move. I don’t like the high rep ones either – too much like strength training 🙂 Yoga is so good for sleep! Oh interesting – I think of the lower reps as being more like strength training!